Whether for thyroid disease or thyroid surgery, blood tests for thyroid function is indispensable. However, there are too many test items, and many patients found the high or low arrow on the laboratory report (often prompted to anomalies), which can frighten a lot of patients. In fact, there are different meanings for the anomalies in these test results, and many of them do not need to worry. So what are the implications of these results, and how to explain the different diseases? They are the products of thyroid hormone synthesis, and T4 has one more iodine group than T3. Abnormal results of these two suggest abnormalities in thyroid function, but often are not directly related to clinical manifestations. Therefore, abnormal results of T3 and T4 need not be unduly concerned. Free T4 is the most important hormone to play the thyroid function, and his abnormalities are often directly related to hyperthyroidism or hypothyroidism. The high or low according to FT4 results can be directly diagnosed with hyperthyroidism or hypothyroidism. Although accounting only for a small proportion of T4, FT4 has great impact, which can judge the outcome of thyroid function. FT3 is a good brother of FT4, they together play the role of thyroid hormones. According to FT3 and FT4 results which are high or low, you can directly determine the hyperthyroidism or hypothyroidism. The biggest feature of TSH is the opposite of FT3 and FT4, which the higher the FT3 / FT4, the lower the TSH. TSH is a sign of thyroid function—TSH is low, suggesting the upcoming hyperthyroidism; TSH is high, suggesting the upcoming hypothyroidism. It reflects the thyroid function and thyroid gland synthesis index. There is no special significance for benign diseases. For patients with thyroid cancer, if the total thyroidectomy is performed, the level of Tg reflects the presence or absence of recurrence, that is, the amount of thyroid tissue, and if Tg is less than 1, or does not change dynamically, it reflects it does not prompt recurrence. 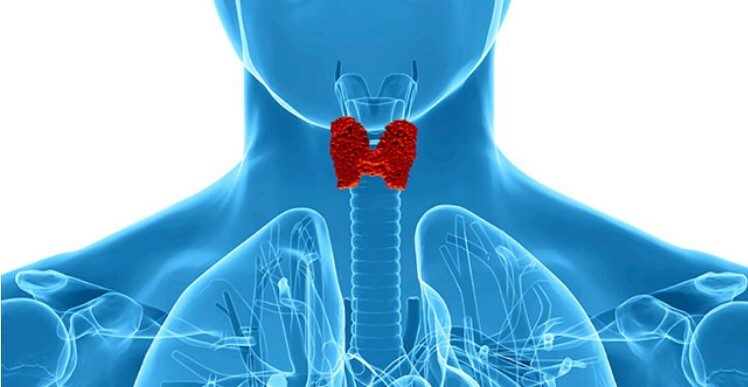 Regardless of how much they rise, they only suggest thyroiditis (Hashimoto’s disease); regardless of antibody levels, they are not associated with the severity of thyroid disease, and antibody levels after treatment will not decline, so you do not be too concerned about it. How to interpret thyroid function test results after thyroid surgery? First, main component of Euthyrox is FT4, and thyroid tablets contain FT3 and FT4. When people had thyroid surgery regardless of medication or not, if FT3 or FT4 is high, it will have an impact on the heart, so it is best that these two indicators are not too high, especially when patients have simultaneous heartbeat. After the benign thyroid disease surgery, the purpose of medication is to maintain normal thyroid function, and the TSH is to adjust the dose basis, therefore, when TSH is high, or FT3 / FT4 is low, patients need to add euthyrox. When FT3 / FT4 is normal, and TSH is increased, it also prompted lack of thyroid function, and patients need to add euthyrox. Conversely, TSH decreased, then the drug overdose, you need to reduce. Patients need to inhibit TSH after thyroid cancer surgery, that is, the lower the better the level of TSH; therefore patients need to increase euthyrox, and if FT4 is increased, it will reduce TSH; if you increase the euthyrox until FT4 is significantly increased but TSH is not decreased, how to do? Thyroid tablets can be combined, that is, to elevate FT3, in collaboration with FT4 for the inhibition of TSH.